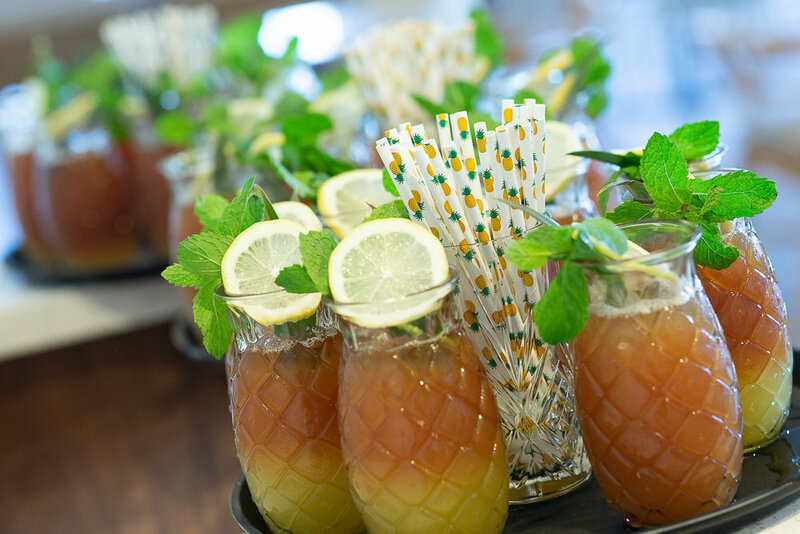 (Honolulu, HI)— Imagine for a moment that it’s a special occasion you are planning: a graduation party, wedding reception, first birthday, 50th anniversary, corporate event. The day is perfect with sunny skies transitioning to a gorgeous golden afternoon glow. To accent this occasion, the iconic Diamond Head looms as a majestic backdrop; the view is so stunning, it warrants a gasp—and photo opts by in-coming guests. The consensus is that the view at Deck. is stunning. The next thing that people seem to agree on is the exciting prospect of hosting an event with the iconic Diamond Head view as its backdrop. Easily adaptable to various configurations, there are two main spaces ideal for event usage. 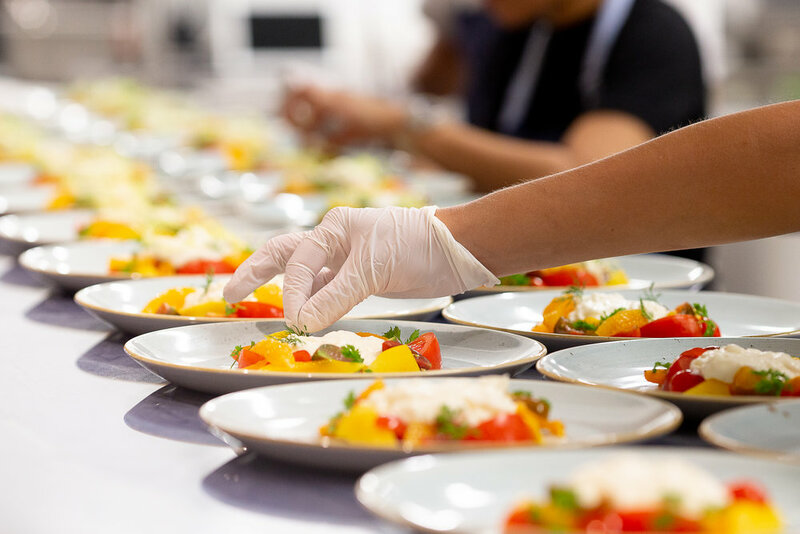 The Leahi Ballroom was famous in its heyday—stretching well into what the open-air kitchen in the newly renovated Queen Kapiʻolani Hotel is now. While the view is sure to make a lasting impact, the floor-to-ceiling glass windows and state-of-the-art AV equipment are sure to impress equally. 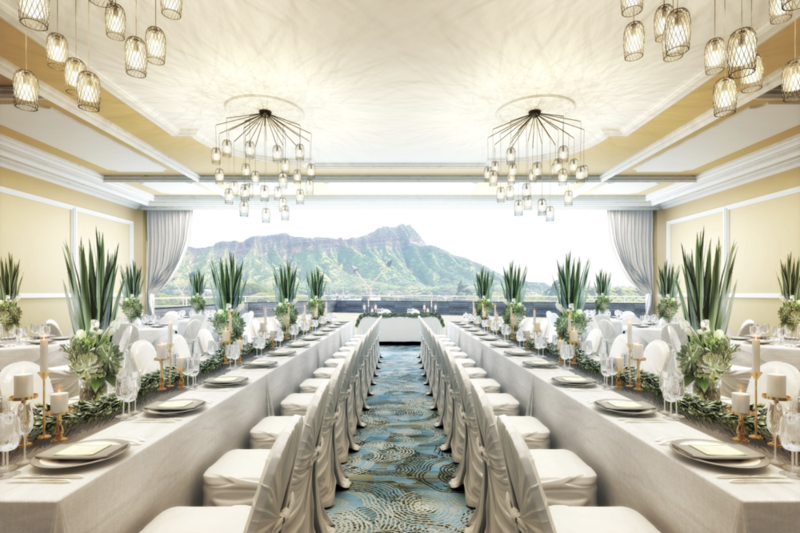 The current Leahi Ballroom easily fits up to 150 guests (150 in ballroom reception style layout) and seamlessly leads out to the 1,500-square foot Leahi Lanai, where an unhindered view of Diamond Head. Weddings, first birthday party, meetings, school reunions, graduation parties, corporate incentive gatherings, and more. Bookings for the Leahi Ballroom include Leahi Lanai. The Leahi Lanai is also ideal for wedding ceremonies and barbecue parties. On the other hand, Deck. is ideal for more intimate gatherings of up to 30 people, whether it's a birthday party, bridal shower, intimate wedding or vow renewal. A food & beverage minimum of $45 per person++* applies to plated courses, family-style, or buffet style dining options. Bookings and event coordination at Deck. or Leahi Room and Leahi Lanai, contact events@deckwaikiki.com.